How many know the dinosaur named the Gastonia Burgei? How many know USU Eastern’s archery instructor named Don Burge? Do you know what these two have in common? One simple thing: the name; the Gastonia Burgei was named after Don Burge. If anyone could be the real life most interesting man in the world it would be him. They call him Dr. Burge; not because Burge went to college to get that title, but because of the vast knowledge that he has garnered throughout his life. 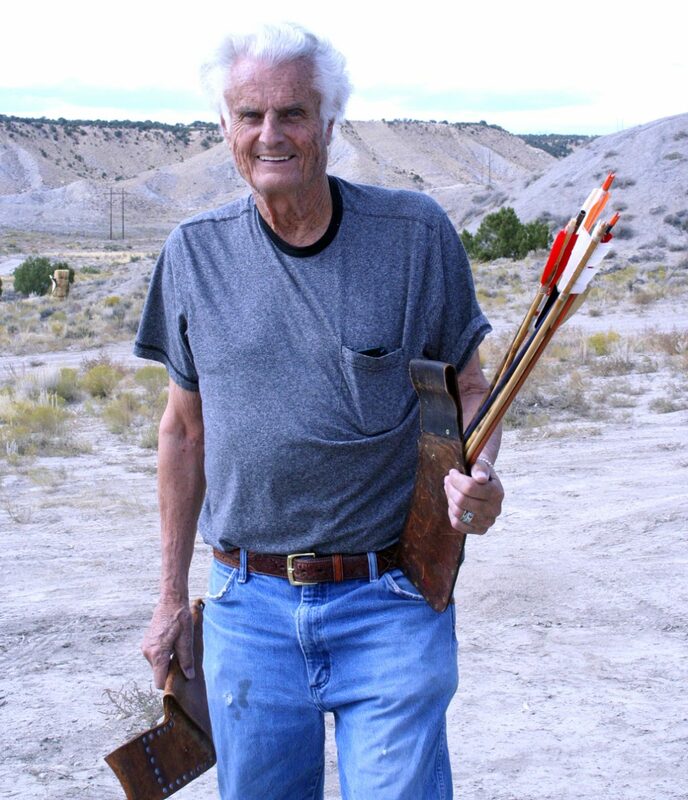 Burge is now entering his 50th year of teaching archery here at USUE (also College of Eastern Utah), but he actually gained his start in higher education as a medical student. Burge said, “I graduated as a pre-medical student from the University of Southern California.” Once he had graduated, he decided it was time to make a career change. “I just happened to be lucky, I was at the right place at the right time.” From there Burge decided to pursue a more interesting career path: a path full of dinosaurs. “As a medical student, I learned the anatomy of animals … it turns out that the anatomy of a dinosaur and the anatomy of a man are very similar.” Burge’s first job was working at the Los Angeles County museum, where he gained valuable knowledge and skill that he brought back to Price, Utah. But before he came to Price, he earned his master’s degree in geology at Brigham Young University. After graduation he accepted a position to teach at CEU and spent the next 50 years working at this institution. Burge, who helped envision and build the CEU Museum, was its director for 40 years, where he made numerous contributions to the field of paleontology. He said, “We discovered eight new dinosaurs nobody else in the world had, if you go to London, Paris, Berlin you are going to see our dinosaurs.” Burge, while working with BYU, was able to extract dinosaur DNA from a coal mine; that work brought him into contact with the likes of Stephen Spielberg and Stephen Hawking. Spielberg approached Burge while undergoing work for the first Jurassic Park movie, and Hawking interviewed him about the process of extracting DNA.